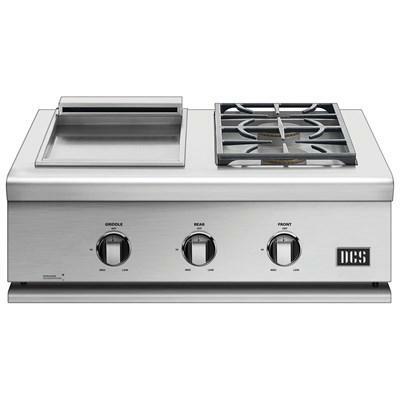 DCS 15" built-in liquid propane gas single side burner featuring heavy stainless steel construction, metal dials and one-step direct burner ignition. 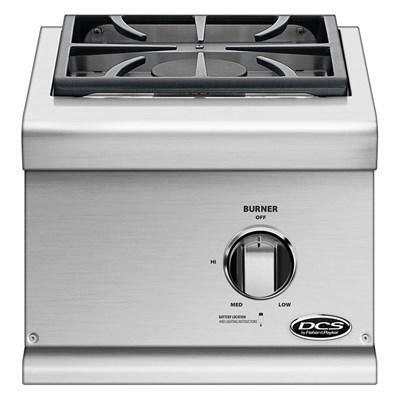 DCS 15" built-in natural gas single side burner featuring heavy stainless steel construction, metal dials and one-step direct burner ignition. 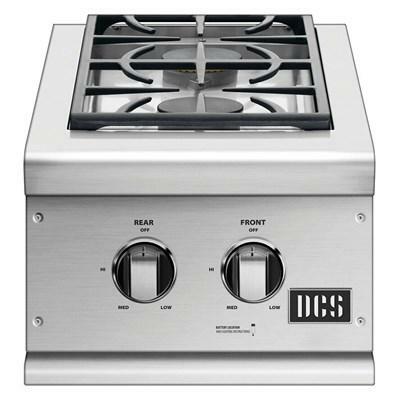 DCS 15" built-in liquid propane gas double side burner featuring heavy stainless steel construction, metal dials and one-step direct burner ignition. DCS 15" built-in natural gas double side burner featuring heavy stainless steel construction, metal dials and one-step direct burner ignition. 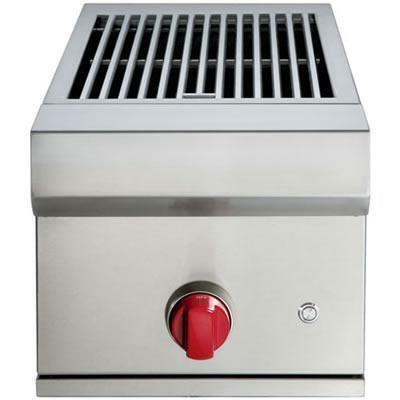 Wolf 13" liquid propane built-in burner module for outdoor grills. 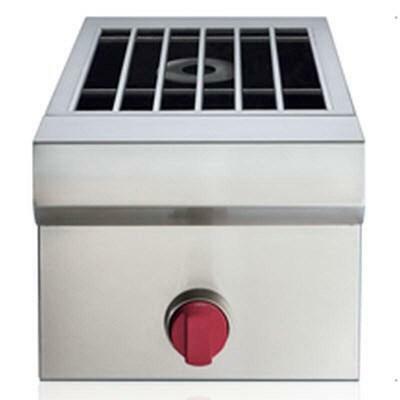 This burner module features heavy duty stainless steel construction, LED-lit control knob and stainless steel burner grates. Wolf 13" propane built-in burner module for outdoor grills. This burner module features heavy duty stainless steel construction, LED-lit control knob and stainless steel burner grates. 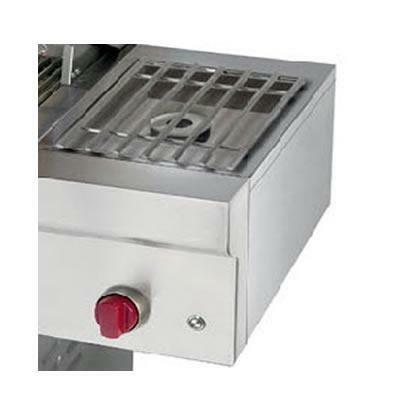 Wolf 13" on-cart side burner features Signature Wolf red control knobs with LED-lit for night-time grilling. It also features a 24, 000 BTUs of power and is equipped with a stainless steel cover.